I believe it goes without saying: J.J. Watt is a national treasure. I have spent a great deal of time pondering the Supreme Court’s latest decision on sports gambling, wondering in earnest if there is more to it than meets the eye. For the uninitiated, last week marked a huge victory for freedom advocates with a penchant for gambling, as the Supreme Court virtually opened the door for states to make up their own mind as to whether or not their citizens would like to risk their hard earned cash for the glory of picking the right ponies – figuratively speaking. If we want to assume that there is a bit more to the story, we needn’t look much further than the NFL, which has been plagued by the inexcusable actions of their players, both on and off the field, and has subsequently tanked in ratings and revenue. This sports-betting green light will certainly bring more Americans back to the NFL, as they can now let their paychecks ride on the punting and passing. 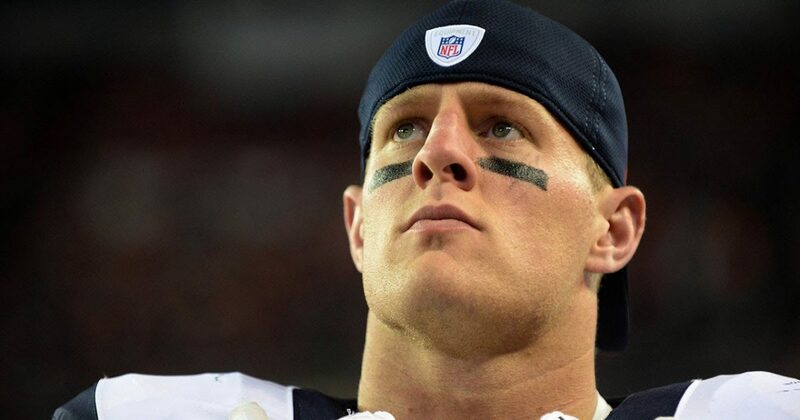 Among all of the unsavory characters within the National Football League, there are a few genuine nice guys still kicking around, including J.J. Watt of the Houston Texans. Santa Fe High School administrators have been notified that Houston Texans defensive end J.J. Watt will personally pay for the funerals of all the victims of the shooting. Dimitrios Pagourtzis, 17, a student at the school, was arrested and charged with capital murder and aggravated assault of a peace officer in the shooting in which ten people were killed and ten others were injured. The gesture is only the latest in a series of philanthropic efforts by Watt, who along with Houston Astros second baseman Jose Altuve, was named the Sports Illustrated Sportsperson of the Year in 2017 for his contributions in helping the city of Houston following the devastation of Hurricane Harvey. He had established the Houston Flood Relief Fund on the YouCaring crowdfunding platform which would end up raising $37 million. Those funds were distributed among the Americares, Feeding America, SBP and Save the Children organizations.